Now this is freedom. Whether you’re carving through turns on a twisting country road or on your way to play 18 holes, nothing quite compares to driving with the top down. 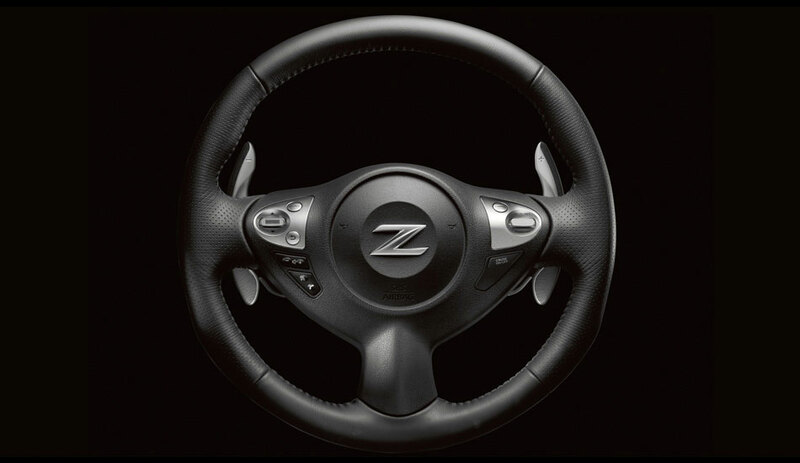 The 370Z Roadster: 332 horsepower, precise control, a power top, and a quiet cockpit. 2019 370Z Roadster adds revised exterior details, starting with a revised exterior that includes dark headlight treatment, dark tinted rear combination lights, black-matte chrome-plated outside door handles and new blackout rear fascia. New available 19-inch aluminum-alloy wheel design is designed to reduce vibration by improving wheel balance. 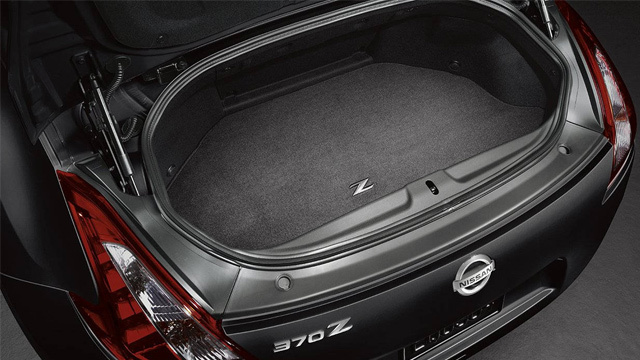 The smartly designed convertible top allows for plenty of usable trunk space. Even with the top down, it will hold a couple of sets of golf clubs. It'll put the wind in your hair and a smile on your face. The Roadster's power top folds down in about 20 seconds. You can drop it from the cockpit with the push of a single button, or even put it down before you get in by pressing a dedicated button on the driver's door. 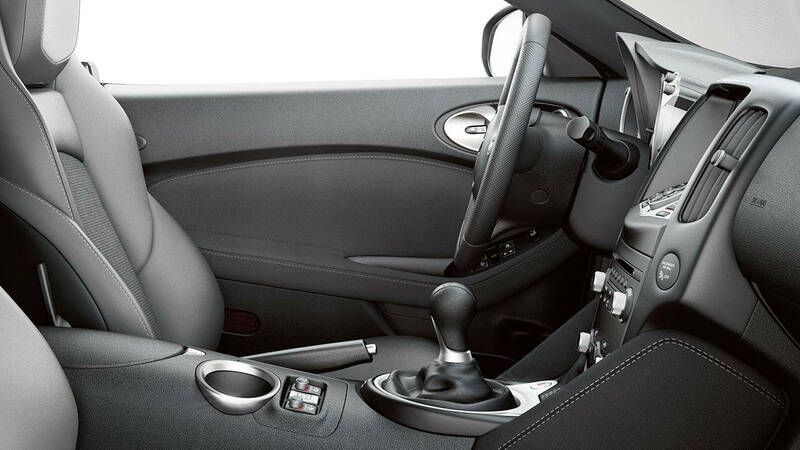 The 370Z employs a three-layer design philosophy that makes you feel completely connected the instant you sit down. 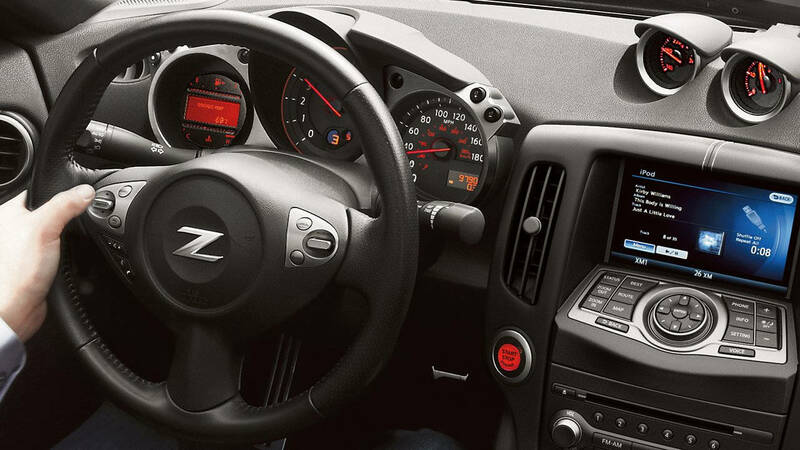 At the Operation Layer, everything is easily reached and operated: the center console controls are shaped to be identifiable by touch, the low center armrest cover facilitates shifting, and the "kidney-shaped" steering wheel rim fits your hands to connect you directly to the 370Z. The Holding Layer helps hold you in place during spirited driving with anti-slip material on the seat cushions and integrated knee pads on both sides of the center console. 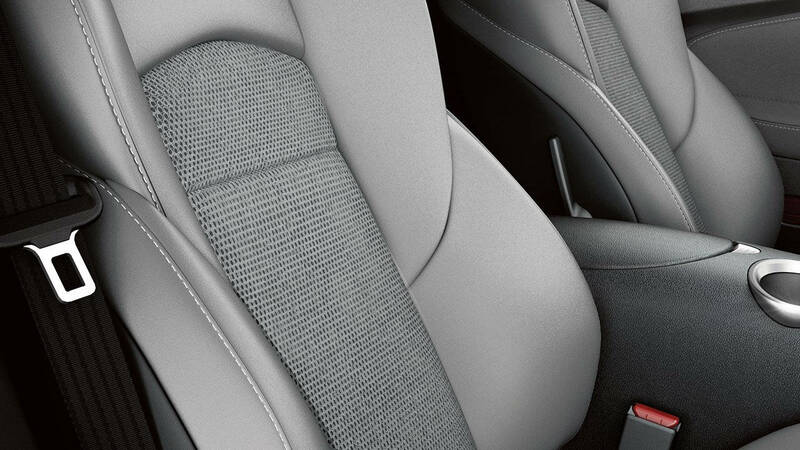 The uniquely bolstered driver’s seat provides enhanced support. To harness all 332 hp, our engineers improved the design and material composites for key rotating components. The newly designed available 19" RAYS® forged alloy wheels are stronger and lighter than typical cast wheels. And the reduced-rotating mass on the lighter, incredibly strong carbon-fiber composite driveshaft helps the engine rev more quickly. The 370Z is powered by a 332-horsepower, 3.7-liter V6. The engine features Variable Valve Event and Lift (VVEL®) technology that continuously tunes valve timing for quicker response and optimal fuel efficiency. All this engineering may sound intriguing on paper, but the exhilaration from idle to the 7,500-rpm redline is pure magic. A low center of gravity and a wide stance help give it ultra-responsive handling and enhanced cornering. The relatively short wheelbase and overall length of the 370Z make for incredible maneuverability. But you still need to stop, so the most powerful 370Z Roadster ever has available 14" front rotors and the gripping power of 4-piston front calipers. A 7-speed automatic transmission gives you the best of a manual and an automatic – a wide spread of gearing for heart-pounding acceleration, while still providing improved efficiency and quiet cruising at higher speeds. 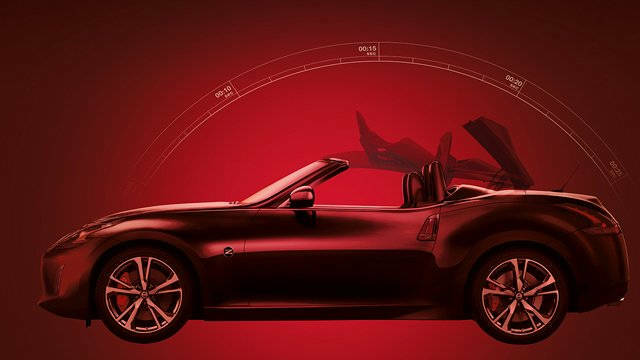 Along with the long list of standard equipment on the base 370Z Roadster, including Bluetooth® Hands-free Phone System and USB input, the 370Z Touring Roadster adds Nissan Navigation System with 7.0-inch touch-sensitive display, Bose® Audio System, cooling and heated ventilated leather-appointed seats and RearView Monitor. Plug your smartphone into the USB input and you can control its functions through the audio system or touch-screen monitor, plus get song readouts on the digital display. 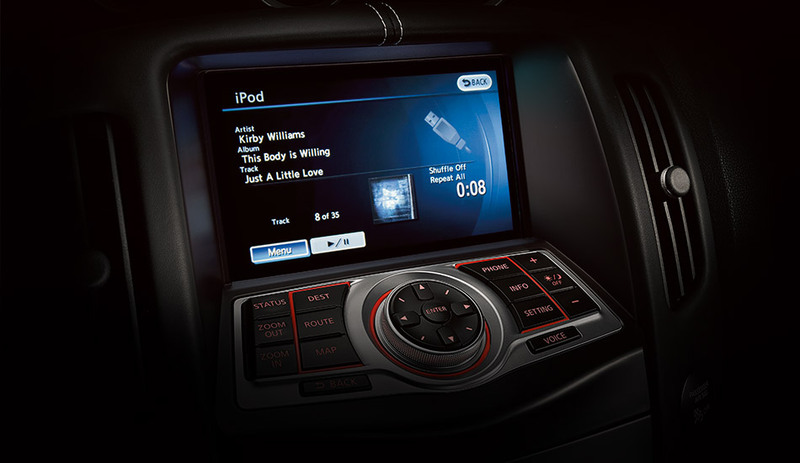 You can also play digital music files from a USB flash drive or other compatible storage device—and even watch movies on the LCD screen while your 370Z® is parked. Connect with your ride. A standard Bluetooth® Hands-free Phone system answers your compatible cell phone even if it's buried in a bag or the trunk. Just press a button on the steering wheel to pick up calls or dial friends. 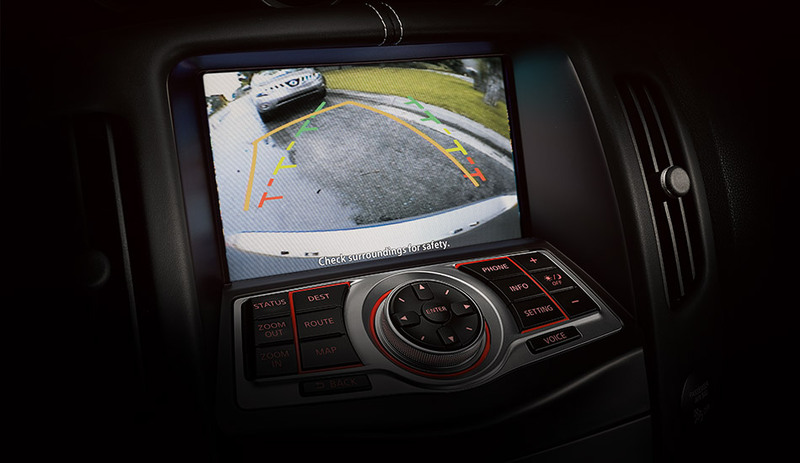 The available RearView Monitor uses a discreet colour camera on the back of your vehicle to help you see what's directly behind you via the Information Center monitor. On-screen guidelines move along with steering input. Like every Nissan vehicle, the 370Z Roadster comes equipped with a suite of standard safety, driving, and convenience features designed to inspire confidence behind the wheel, and help make every ride better, safer, and more enjoyable. When it comes to tire pressure, TPMS takes away the guesswork. Using an icon on your dash, the system notifies you when tires aren't properly inflated. When it detects oversteer or understeer, VDC can reduce engine power and apply brake pressure to specific wheels. Working with VDC, TCS can sense rear-wheel spin and reduce throttle to help keep you on your steered path. The AABS includes dual-stage supplemental front air bags with seat belt sensors and an occupant-classification sensor. Their inflation rate adjusts based on crash severity and seat belt usage. Built into the front seats, side-impact supplemental air bags move with you as you adjust your seating position. Door-mounted curtain side-impact supplemental air bags help provide head protection for outboard occupants. Get Your 2019 Nissan 370Z Roadster at Sherway Nissan. 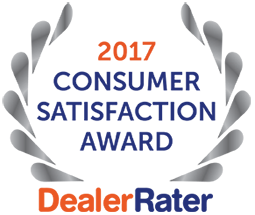 Call us at (888) 812-0458 of fill out the form below to get best rates.